DALLAS, TX --(Marketwired - June 24, 2016) - If Texas were a nation, it would boast the world's twelfth largest gross domestic product (GDP). Real estate investor and developer Marcus Hiles chalks up the Lone Star state's success to its commitment to less government regulation and lowered spending, and encourages other states to follow Texas' lead. "Over the past decade, our leaders have created an environment for businesses and residents to thrive," he notes. "We have no corporate or personal income tax, and during each session, the Legislature curbs spending growth." Marcus Hiles, the Chairman and CEO of Western Rim Property Services, says that state policies have resulted in job growth that outpaces the rest of the U.S. Texas achieved post-recession job recovery more than two years ahead of the nation as a whole, and by January 2016 had added over 1.3 million jobs to its pre-recession employment peak. Because the state's unemployment rate has been consistently lower than in the rest of the country -- in April, it was 4.4 percent compared to 5 percent nationwide -- consumer confidence has been robust. May's Texas Consumer Confidence Index (CCI), which measures economic optimism through savings and spending habits, was 117.6, in contrast to the U.S. CCI of 92.6. The vigorous Texas economy -- stimulated by more than $5 billion in tax cuts over the past three years -- has also been a boon to the housing market. The year-over-year price of existing homes increased by 5.9 percent and the number of single-family building permits by 6 percent. 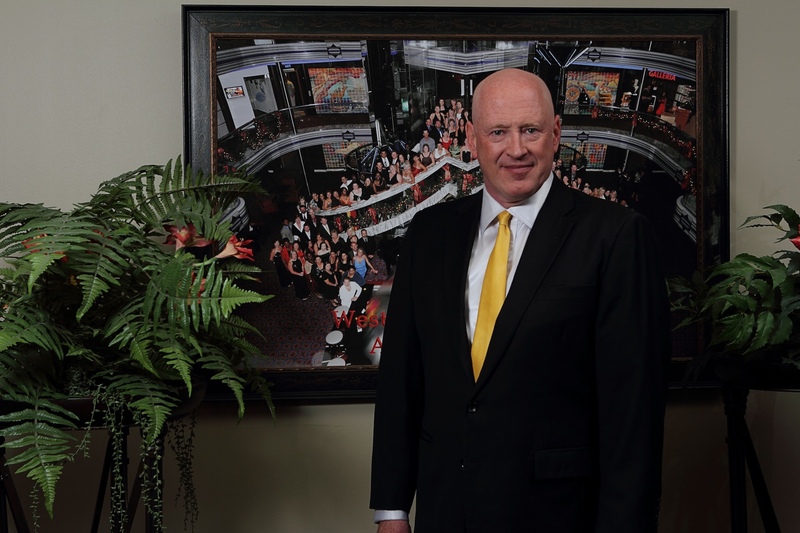 As one of the most visible business and real estate development leaders in the Lone Star state, Marcus Hiles is particularly attentive to Texas' track record regarding inviting new companies into the state. "Companies are relocating to Texas in order to take advantage of our business-friendly policies and stable workforce," he notes. Even foreign investors are flocking to the state and employ more than a half million workers. As a result, both productivity and exports are soaring. In 2015, exports were valued at $251 billion, with a 93 percent growth over the previous decade in exports with free trade agreement partners. The state exported $45.4 billion worth of computers and electronics, $44.1 billion in oil and coal products, and $39.9 billion in chemicals. Its largest trading partner is Mexico, followed by Canada, China, Korea, and Brazil. Hiles states that, when contrasted with states like California, which lost over 1,500 businesses over the past eight years, Texas' pro-growth stance primes it to usher in more companies, greater numbers of jobs, and increased exports in the years to come. As a seasoned real estate developer and investor, Marcus Hiles has spent more than a decade meeting the demand for Texas rental homes, townhomes, and apartments appointed with state-of-the-art amenities. His companies manage more than 15,000 luxury living properties in communities that feature parklands, sports facilities, day spas, and recreation centers. A leading philanthropist, Hiles works to alleviate hardships for economically disadvantaged women and children, and has donated over $2.5 million to public K-12 and other educational initiatives.